This week, we have one of our most jam packed episodes since we began three years ago. 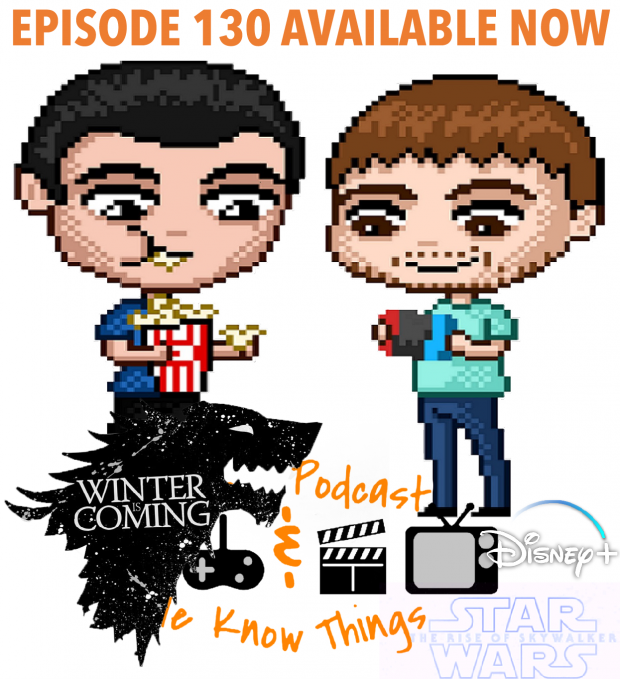 Star Wars Episode IX got a title & trailer, Disney+ announced a release date, pricing & a ton more original shows & we dive DEEP into predictions for the final season of Game of Thrones!! Oh, we also have a full episode recapping all of the rest of the week’s nerdy news after that! Sean Carchidi stops by for his take on all things Episode IX & Greg gives his impressions of a new PS4 game. Don’t forget our weekly Doom Patrol review. Sam also saw Shazam! We recap WrestleMania 35 & deliver yet another comic spotlight. This was one of the longest, most fun episodes we’ve ever done, but we bring it ALL to you! Enjoy.